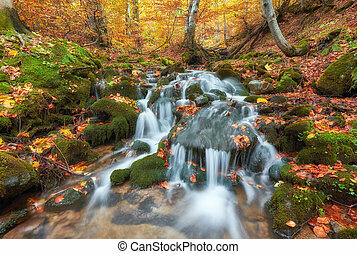 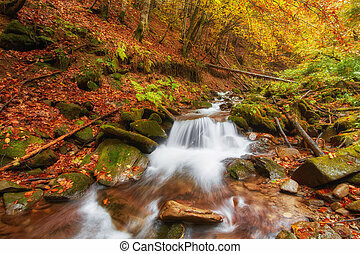 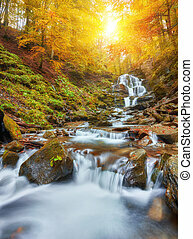 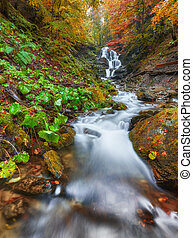 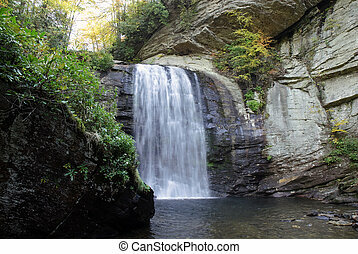 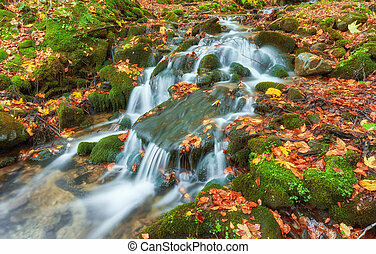 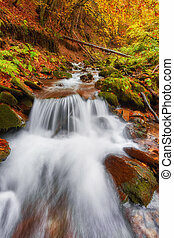 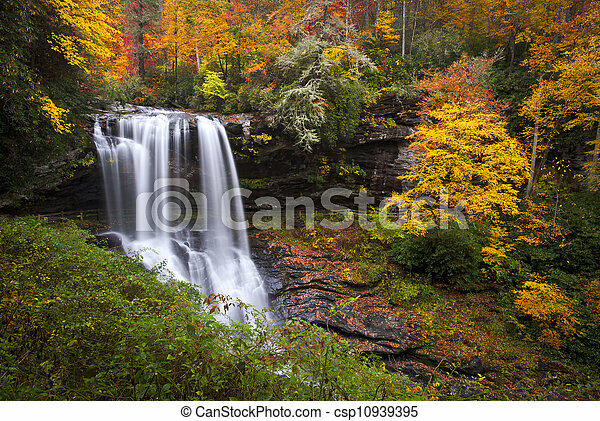 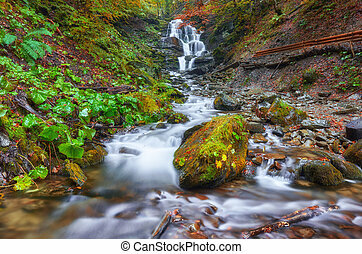 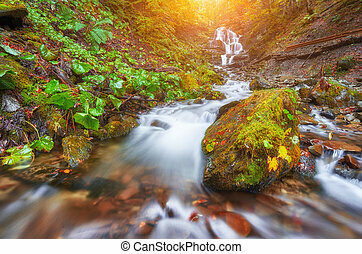 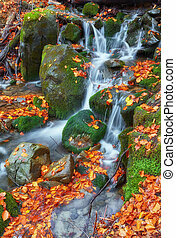 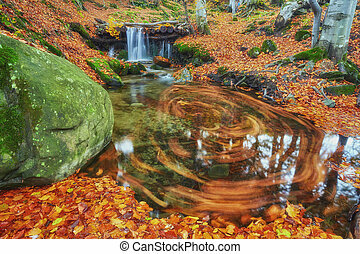 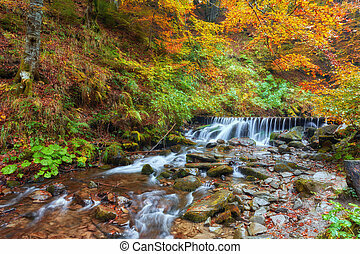 Dry falls autumn waterfalls highlands nc forest fall foliage in cullasaja gorge blue ridge mountains. 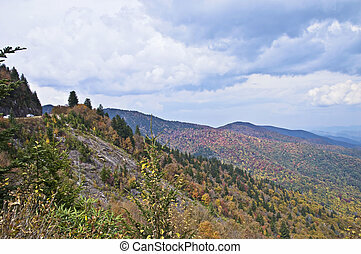 A vista along the Blue Ridge Parkway in the Smoky Mountains. 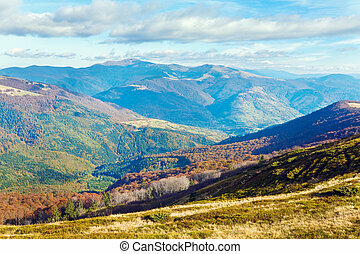 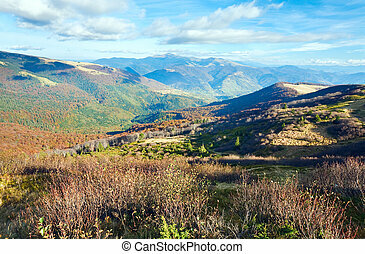 Autumn mountains with a stark bare trees on forest edge in front (Carpathian, Ukraine).